Please visit our Treatments page for a in depth look at how acupuncture and Traditional Chinese Medicine can work for you. Acupuncture is the insertion of fine needles into the body at specific points along energy pathways called meridians to prevent and treat a wide range of health problems. It is proven to be safe and effective for a variety of conditions and ailments. The acupuncture needles used at Yuxiang Wang’s clinic are thoroughly sterilized and disposed upon use. The acupuncture treatment by Yuxiang Wang is more effective because of her great skill and high level of self-cultivation. In Chinese herb medicine theory, the unverse provides all eatable thing with its nature and flavors to meet the human being’s needs, adjust the imbalance of Yin-Yang, and prevent and treat diseases. 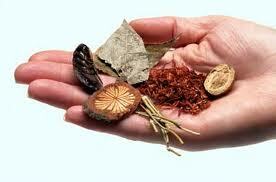 Over the course of 5000 years, Chinese practitioners have accumulated great experience to use herb prescriptions. Yuxiang Wang has studied books on herbal medicines extensively, absorbing the knowledge accumulated by past medicinal scholars in order to create the best herbal formula for each of her individual patient. Tuina is a form of therapeutic massage composed of over 20 manipulations and techniques based on the theories of TCM. It provides excellent results in relaxation, rehabilitation and the promotion of general well-being and is especially well extensive use for child’s health. Tuina massage also complements and enhances the effect of acupuncture and Chinese herbal medicine.